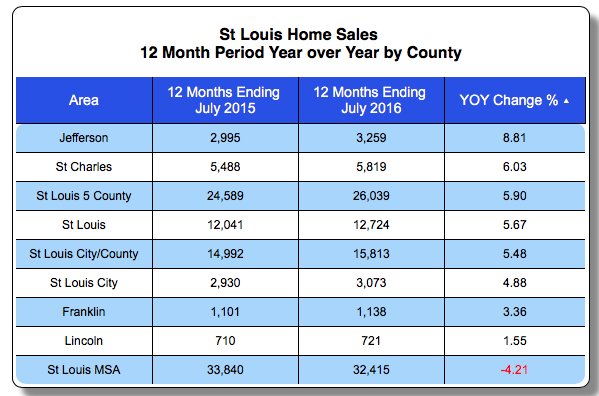 Home sales in the St Louis area, for the 12-month period ending July 31st, are up from a year ago in all of the St Louis counties that make up the core St Louis market. As the table below shows, in spite of the fact that the St Louis MSA saw home sales fall 4.2% during the period from 33,840 homes sold to 32,415, all of the counties in and around the St Louis area on the Missouri side of the river saw increases. 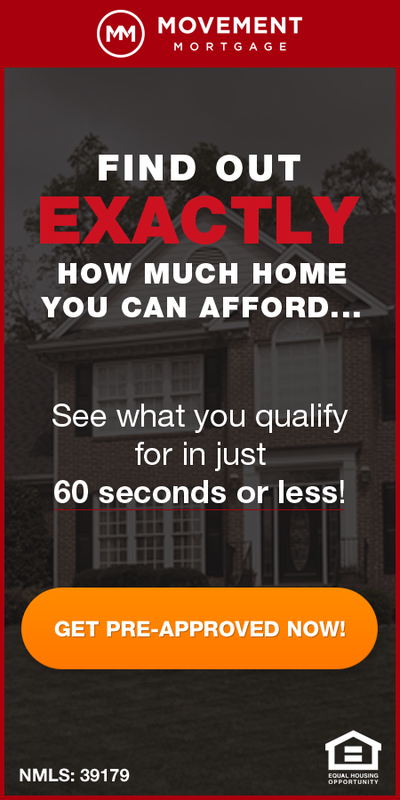 There were 3,259 homes sold in Jefferson County during the 12 month period ending July 31, 2016, an increase of 8.81% from the same period a year before when there were 2,995 homes sold. As the table shows, the smallest increase in home sales for the areas reported on was Lincoln County which saw an increase of 1.55% for the period.